Elegance and relax by the sea. The white of the furnishings and the blue of the sea gives to this place an exclusive and refined atmosphere. 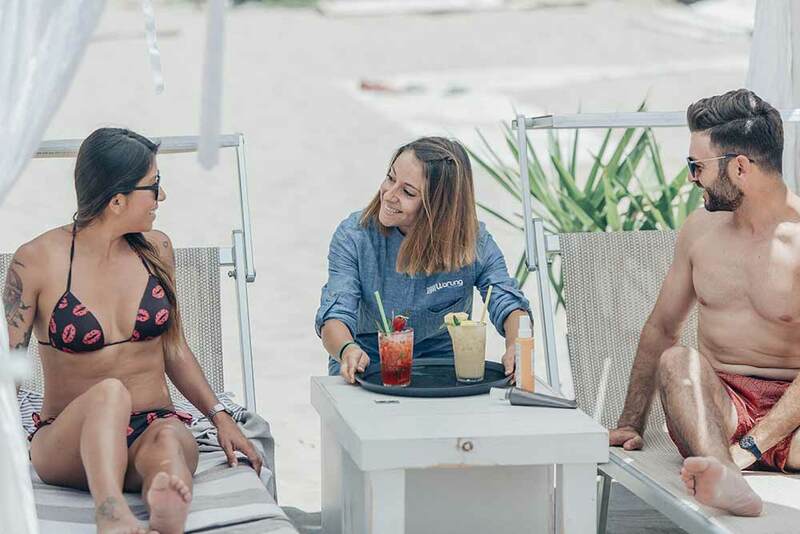 Experience a day of complete relax in the sand area equipped with umbrellas, gazebos, sunbeds and tables in an exclusive space reserved only for you! beach towel, lifeguard, showers, bathrooms, waitresses at the station.